Our Community Connectors Group runs across four of our Community Centres. One of the volunteers, who originally joined the group for help and support wanted to give something back and do something special to help the centres, so decided on a fundraising effort to install defibrillators across all of the centres. 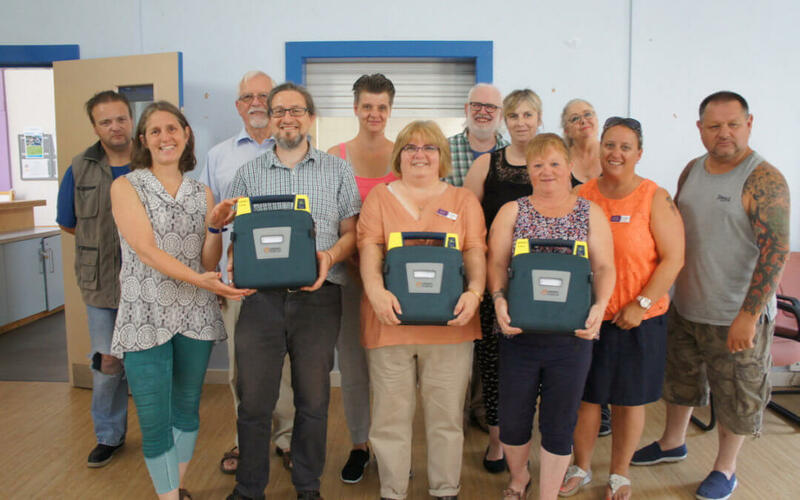 Thanks to a fantastic fundraising effort, sufficient funds have been raised to install new defibrillators at The Tolly Hub, The Green Hub and The Warndon Hub. Watch our brief video for more details. We are now actively raising funds to install defibrillators in our three remaining Community Centres. If you would like to support this appeal, please click on the BT Mydonate Logo. Pictured in the photo is the Tolly Community Connectors Group.